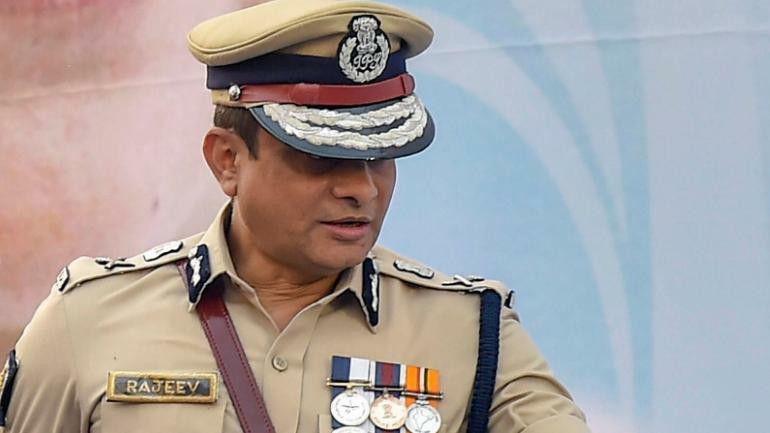 The Central Bureau of Investigation (CBI) finally loosened the noose on Wednesday and allowed Kolkata Police Commissioner Rajeev Kumar to leave Shillong after questioning him in the Saradha and Rose Valley chit fund scams for five consecutive days. Kumar, who was grilled in the Shillong CBI office, had written to the CBI seeking to give him a ‘break’ so that he can prepare his reply to the contempt petition filed by the CBI in the Supreme Court against him and two other senior officers earlier this month. The CBI has filed contempt petition in the Supreme Court against Kumar on February 4 for alleged non-cooperation on the Saradha chit-fund scam. Soon after the the special team from the central investigating agency grilled him for three hours on Wednesday, Kumar left for Kolkata via Guwahati. Kolkata’s Additional Police Commissioner Javed Shamim, Special Task Force Chief Murlidhar Sharma and CID Chief Praveen Kumar Tripathi, who accompanied Kumar to Shillong, also left along with him. Kumar had earlier arrived in Shillong on February 8 from Kolkata via Guwahati after the apex court directed him to join the CBI probe at a ‘neutral place’. The central investigating team had confronted former Trinamool Congress MP Kunal Ghosh with Kumar in connection with the investigation conducted by Kolkata Police’s Special Investigation Team on the chit fund scams in West Bengal. Ghosh, who had left Shillong on Tuesday, said that he has lodged an ‘official complaint’ against Kumar for allegedly influencing the ongoing probe. The central investigating agency is likely to move the Supreme Court seeking permission to quiz Saradha Group Chairman Sudipta Sen and his close aide Debjani Mukherjee in connection with the chit fund case. They also want to confront Kumar with Sen and Mukherjee on the chit fund scams.